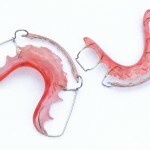 Home » Posts » Dentistry » orthodontics » Hawley appliances for orthodontic retention? After orthodontic tooth movement retention of the teeth in their new positions is an important phase of treatment. Without retention, there is a tendency for teeth to return to their original position. A range of fixed and removable appliances have been used for retention including Hawley-type and clear thermoplastic retainers. The aim of this review was to assess the performance of Hawley-type retainers and evaluate their quality. The review methods were based on the PRISMA-P statement. Searches were conducted in the PubMed, Cochrane Central Register of Controlled Trials ,Cochrane Database of Systematic Reviews, Scopus ,Web of Science, LILACS, IndMed, Scielo, Arab World Research Source, Deutsche Zentralbibliotek fuer Medizin, Google Scholar, ClinicalTrials.gov, ISRCTN registry, OpenGrey and UMI PROQUEST Dissertations Express databases. Two reviewers independently selected studies. Randomised Clinical Trials (RCTs), investigating the performance of Hawley-type appliances during the retention period were considered. The reviewers independently extracted data and assessed risk of bias using the Cochrane tool. Overall evidence quality was assessed using the Grades of Recommendation, Assessment, Development, and Evaluation (GRADE) approach. Owing to marked heterogeneity of the study a narrative summary was presented. 10 studies were included involving a total of 1024 patients. 854 patients were followed for a year following debonding. 8 studies compared subjects using Hawley and clear thermoplastic retainers. 1 compared Hawley to positioner and, 1 involved individuals allocated to different Hawley appliance wearing schedules. 3 studies were considered to be a low risk of bias, 3 at high risk and 4 of unclear risk. Few differences were seen between the Hawley and other removable retainers. no differences were observed between the compared Hawley wearing schedules. Overall, the quality of the available evidence was considered low. This review has undertaken a wide database search for relevant article only identifying 10 RCTs looking at retention using Hawley retainers. In 2016 the Cochrane collaboration looked more broadly at retention strategies following orthodontic retention. That review by Littlewood et al (Dental Elf -1st Feb 2016). Only 4 studies involving Hawley retainers were included in the Cochrane review, all 4 are included in this new review together. While this new review does include additional studies the findings are similar to the earlier Cochrane review as the studies do not provide high quality evidence regarding the use of these retainers. High quality well-conducted studies are needed to provide better quality evidence with more information on longer term outcomes including information on stability, retainer survival, patients satisfaction and any adverse effects on oral health. Al Rahma WJ, Kaklamanos EG, Athanasiou AE. Performance of Hawley-type retainers: a systematic review of randomized clinical trials. Eur J Orthod. 2017 May 26. doi: 10.1093/ejo/cjx036. [Epub ahead of print] PubMed PMID: 28549122.